AppSender 2.0 is now available. I just released it to Android Market and should be available to everyone shortly (it seems to take a few hours before its available). In 2.0, I have added a feature to share without having to attach the APK file to the email. 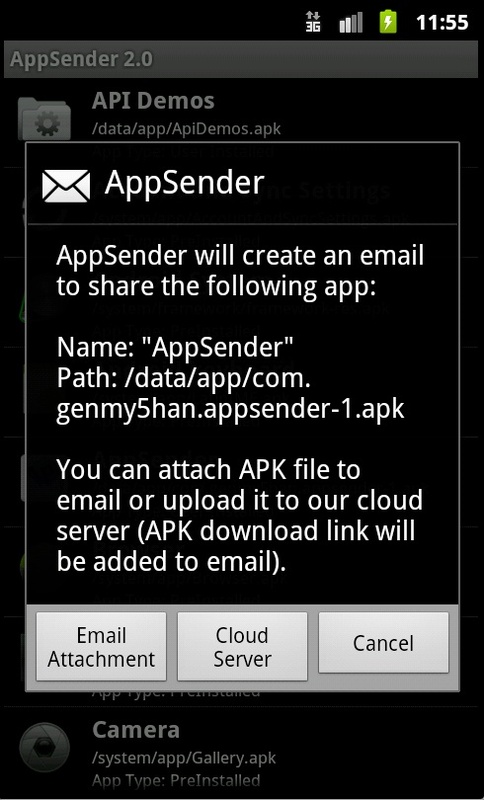 AppSender can now upload the APK file to AppSender cloud server and provide a download web link in the email. This is useful when APK is large since email has attachment size limitation. 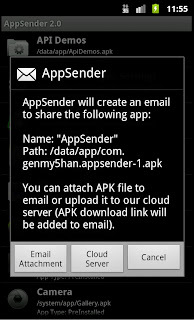 Since I want to continue to offer AppSender for free, the download link will only be available for 60 minutes (or so). Hopefully, this is enough time for my users to share APK. If you have time, please visit AppSender Web Site.